I have seen the limited flavor HOPE at covinience store. I want to try it, but too expensive for me . Fortunately, there it is !! at my home !! 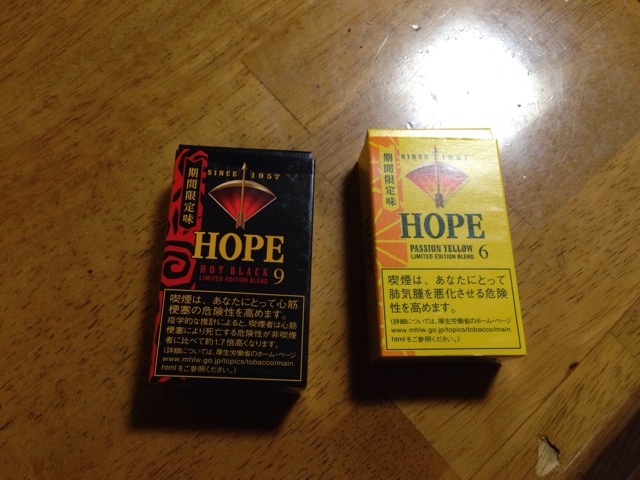 My father usually smoke HOPE. That is said HOPER. It is 230 yen for 10 cigars a box. I'm gonna try it. 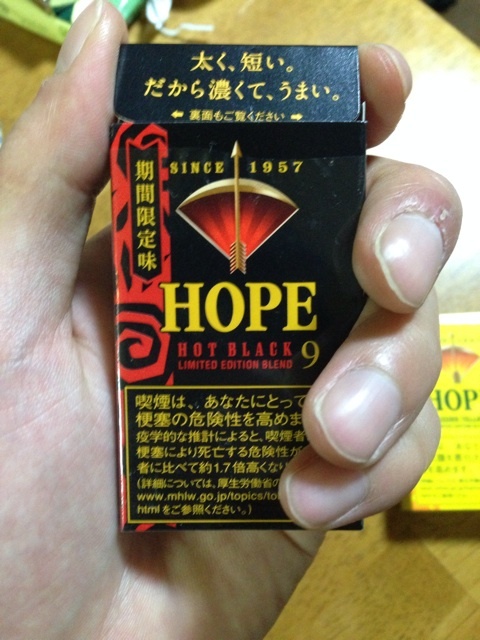 First, I try "HOT BLACK". I see. It tastes spicy adding to original smell. And tastes deeper for tar. Oh, I see. It tastes fruity and a little sweet. It easy to smoke. I like the yellow one better. 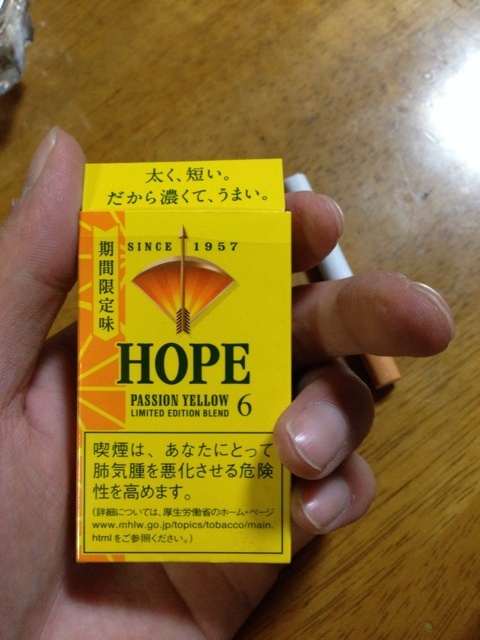 タバコはハタチになってから。/ Don't smoke until you become 20 years old. タバコは健康を害するのでやめるべき。/ You should stop smoking for your health. 20本で二つの味を楽しめてお得感ある。/ It is economical because we can buy two types of flavor for common price for one box.